The Sword of Berserk / Dynasty Warriors crossover looks to be the sleeper hit of 2016 — GamingWithSwag.com - Dads By Day, Gamers By Night. Back during the holiday of 1999, my manager Mike was standing at the Dreamcast kiosk connected to a GX TV playing some new game as I walked through the door for my shift. "Chris, you gotta come over here and check out this game, it's AWESOME." What I found was the character was holding an oversized sword, slicing and dicing through hordes of demons creating a massive amount of blood and gore. 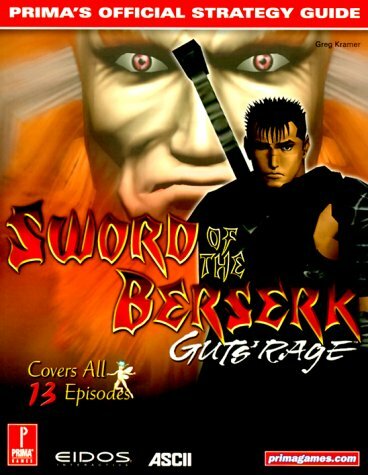 That game, Sword of the Berserk: Guts' Rage remains as one of my all-time favorite Sega Dreamcast games, and is one I still own a physical copy of. Less than a year later, Dynasty Warriors 2 Koei would release on PlayStation 2, a departure from the PvP fighting game of the original. Figures from ancient history would be playable as they relive historical battles and fight through armies of foes. After 15 years, finally the two franchises are becoming one in "Berserk Musou". Combining the huge armies of Dynasty Warriors with the Berserk characters and violence, this game looks to be the crossover that fans of both franchises deserve. See for yourself in the pictures and game play trailer below. Berserk Musou releases this Fall on PlayStation systems and Steam. Now THAT'S a big sword. Who is going to clean that up?